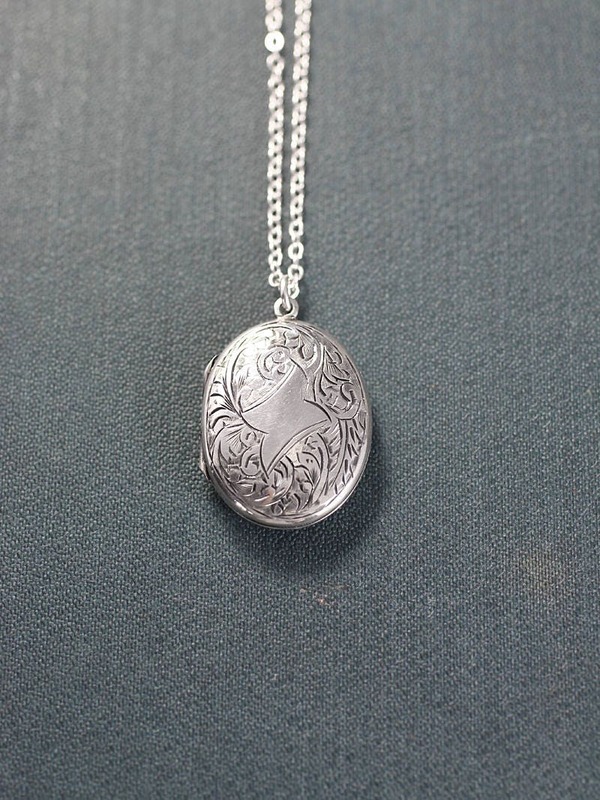 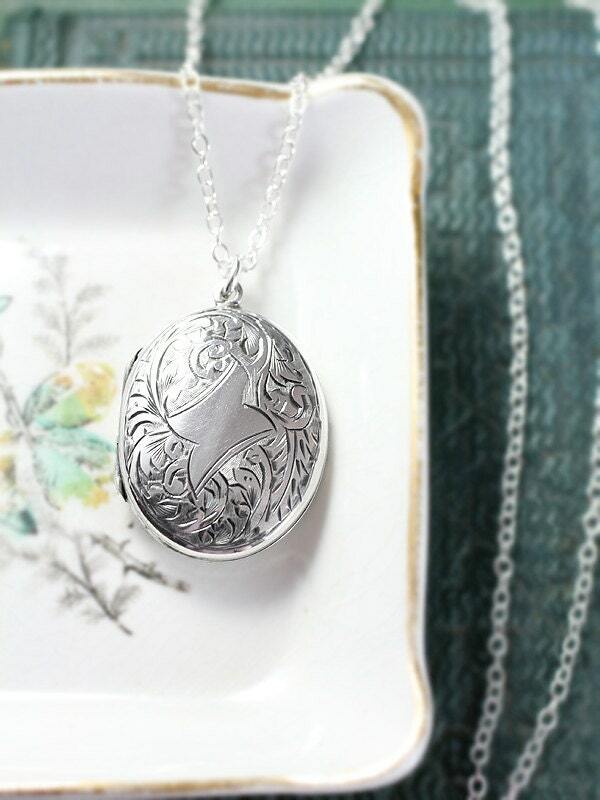 A gorgeous vintage oval locket is hand engraved with deep, beautiful swirls around a blank center. 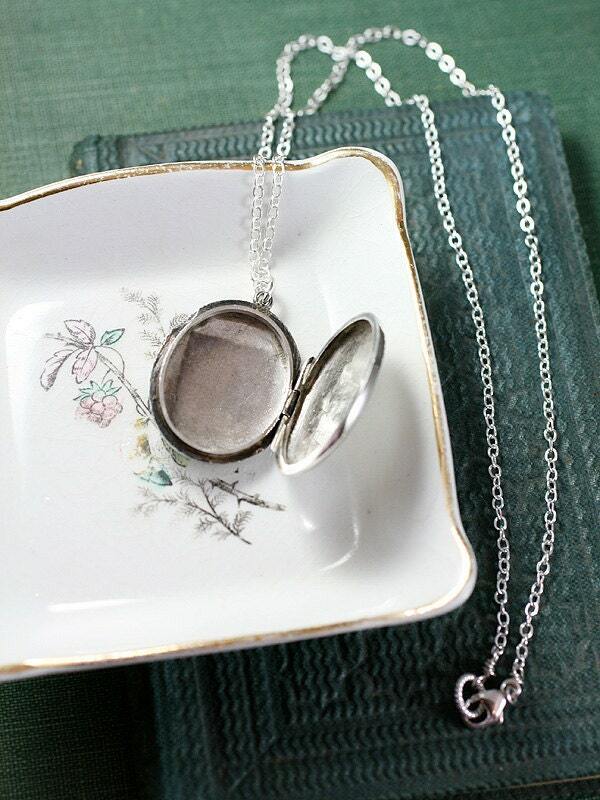 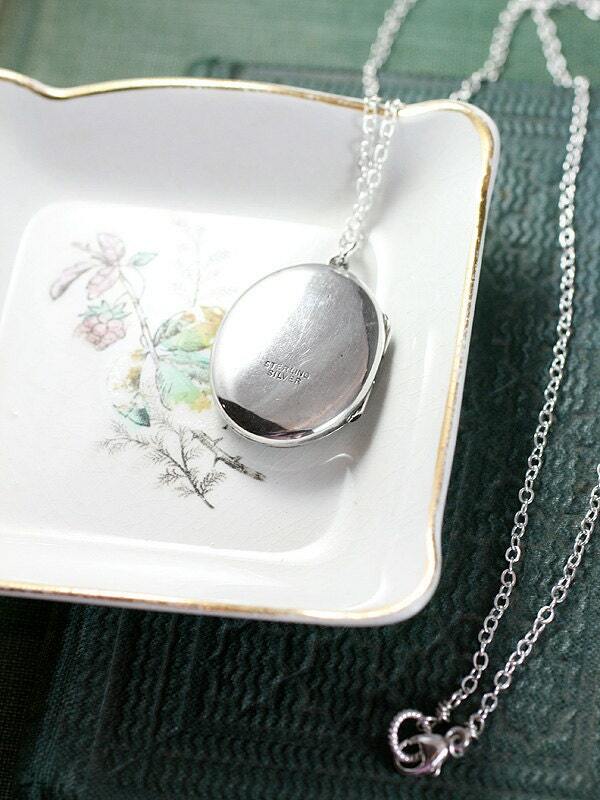 The circa 1930's to 1940's sterling silver locket opens to reveal two places waiting to hold your beloved photographs. 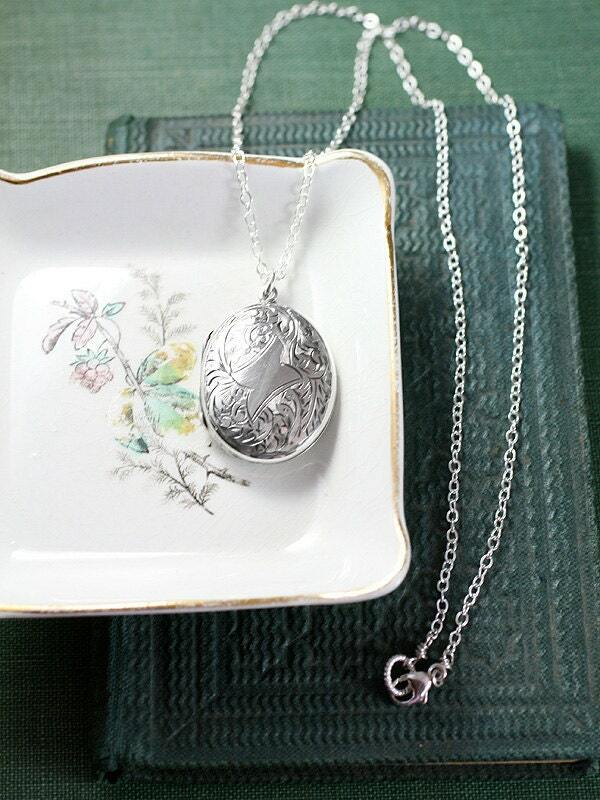 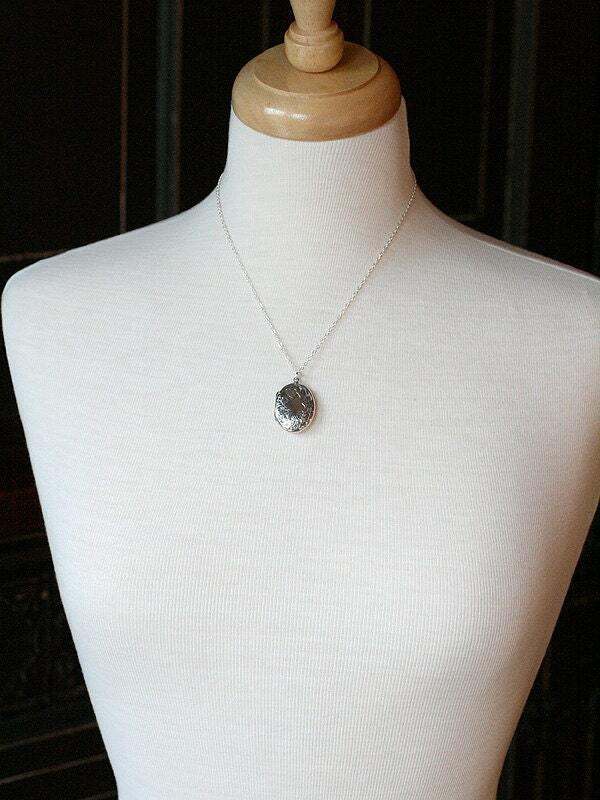 The vintage photo pendant dangles from a new chain of sterling silver hand finished with a trigger clasp and ring.